Zanele Muholi, Somnyama II, Oslo, 2015. Gelatin silver print; 49.5 x 43.2 cm. The Cleveland Museum of Art, Dudley P. Allen Fund, 2016.40.© Zanele Muholi. Courtesy of the artist, Yancey Richardson Gallery, and Stevenson Cape Town / Johannesburg. Drawn mostly from the Cleveland Museum of Art’s collection, the exhibition also features works from the Akron Art Museum and the Fred and Laura Ruth Bidwell Collection, including photographs by Kehinde Wiley and Luis González Palma. The CMA debuts thirteen works, seven of which are recent acquisitions. 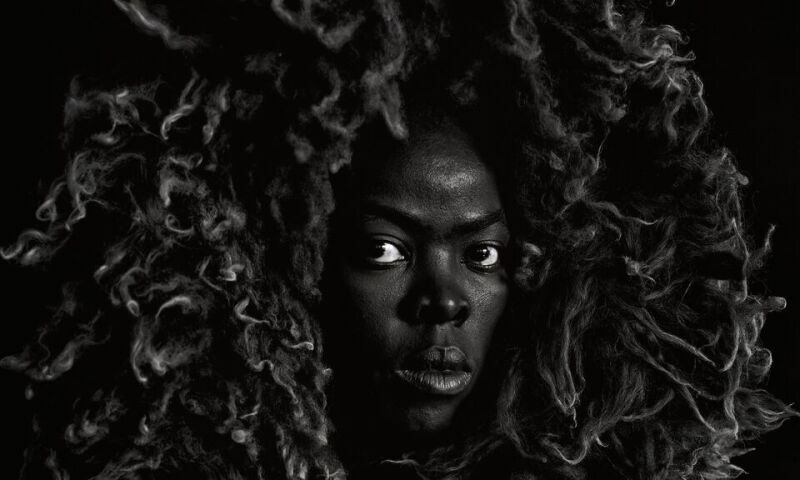 Among those are a 1936 retelling of the Narcissus myth by French photographer Laure Albin Guillot, a regal self-portrait of 2015 by South African artist Zanele Muholi, three works from British duo Anderson & Low’s Manga Dreams series, and a “portrait” by Trevor Paglen that was produced not with a camera but by an Artificial Intelligence.